REVA University has been established under the Government of Karnataka Act 80 of the year 2012. 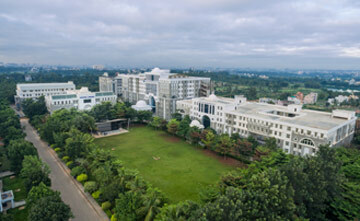 The University is located in Bengaluru on a sprawling green campus, spread over 45 acres of land, built with the state-of-the-art infrastructure creating an environment conducive for higher learning and research. 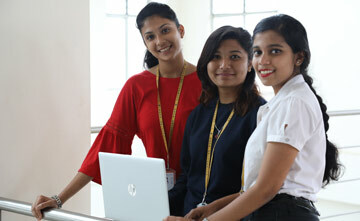 The University prides itself in contributing to every student’s holistic development. The University currently offers 24 Full-time Post Graduate Programs, 5 Part-time Post Graduate programs, 21 Graduate programs, several Certificate/Diploma and Post graduate Diploma programs in Engineering, Architecture, Science & Technology, Commerce, Management Studies, Law, Arts & Humanities and Performing Arts. Above All, the University facilitates Research leading to Doctoral Degrees in all disciplines. REVA University believes in preparing students through the Choice Based Credit System (CBCS) and Continuous Assessment and Grading Pattern (CAGP) of education. Admissions to any Graduate, Post Graduate, Post Graduate Diploma and Ph.D programs of REVA University is strictly based on merit. REVA University also conducts a series of entrance examinations for Engineering, Law, Management & Doctoral Program. However, for some of the programs such as B.Tech, M Tech & MBA the candidates ranked in the CET. PGCET, COMED-K GATE, CAT. MAT & such other Entrance Examinations conducted by the Govt. of Karnataka or other recognized agencies are also considered. Prospective students seeking admissions for B Arch Program should have NATA eligibility. REVA UNIVERSITY ENTRANCE TEST is conducted for candidates seeking admission in Bachelor of Engineering & Technology (B.Tech), Bachelor of Arts & Bachelor of Law (B. A. LL. B. Honours), Bachelor of Business Administration & Bachelor of Law (B.B.A. LL. B. Honours) and Master of Business Administration (MBA) programs for the year 2018-19. The candidates intending to seek admission in other programs can APPLY DIRECTLY WITHOUT AN ENTRANCE TEST. REVA EET Online Test is conducted on Saturday the 27th April 2019 and Sunday the 28th April 2019 across India in 16 Test Locations. The candidates in their online application can opt for any one the dates to take up the test whereas the candidates who have downloaded the application form need to mention any one of the above dates in the application form. REVA MAT Online Test is scheduled only on Sunday the 22nd April 2019 at REVA University Campus. Whereas the REVA CLAT and REVA MAT Online Test is scheduled only on Sunday the 28th April 2019 at REVA University Campus, Bangalore only.